We are able to offer the services of Sarah Stephenson a local dog groomer for boarded and non boarded dogs. 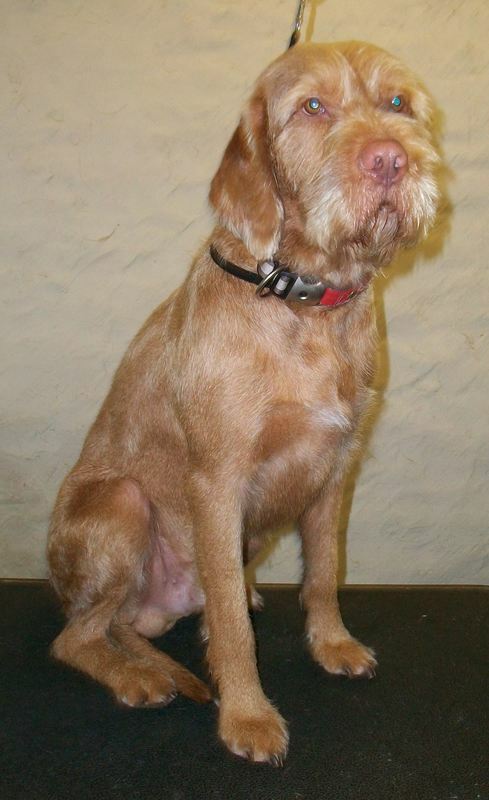 We are also always happy to offer help and advice on grooming issues. Visit Sarah's Facebook page for examples of her work. 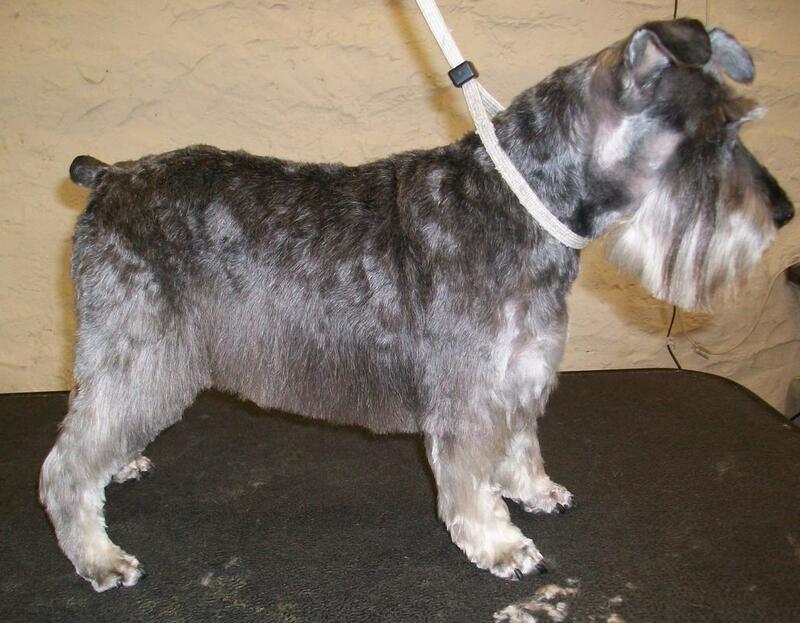 The information on this page is designed to help you understand some tools and techniques that may help you to deal with some of the more common grooming problems. All brushes listed can be bought from our onsite shop or bought online. If you are looking for a paticular brush, we may have to order it, in which case it is better to ring in advance. For any additional information call in to see us and we will be happy to go through it with you. My dog has matts what can I do? A lot of dogs will develop matts. Most commonly behind the ears, the armpits and round the bottom / tail. You can use de-matting tools to help break the clumps into smaller and smaller pieces until they can be brushed out. In cases of severe matting or if the location of the matting is in a sensitive area for the dog, it may be necessary to remove the mat by scissors or clippers. If there is extensive matting, then please discuss with a groomer first. 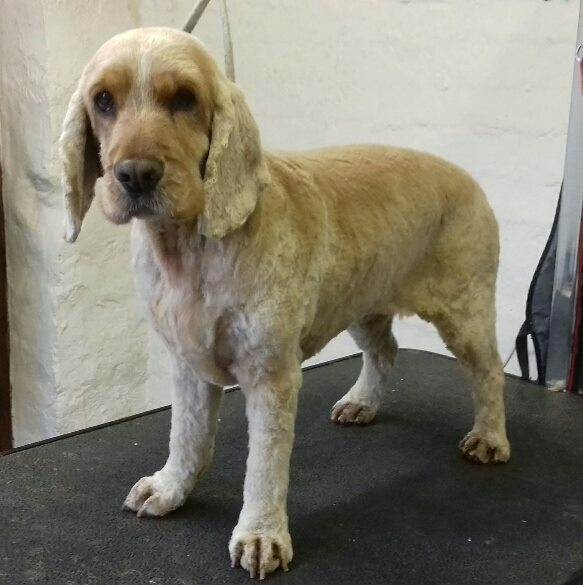 Who should give you some idea of what to expect if extensive clippering is required and how long it will take for the coat length to recover (usually a couple of months). 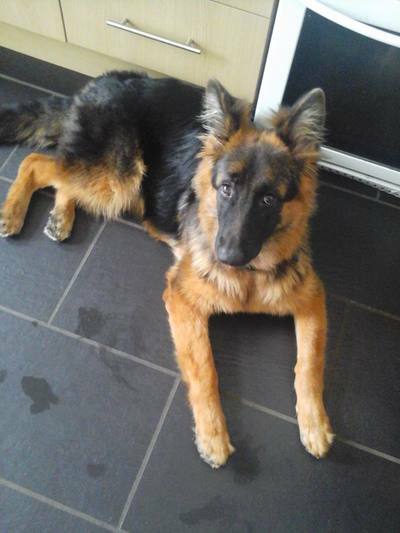 How do I keep my dog's coat in good condition? A good diet should not be under estimated in the care of your dog's coat. A good quality dog food with the right balance of exercise achieves a good shine to the coat. As with ourselves, the right diet for one dog will not necessarily be right for another. Talk to us about the different dog foods available and we will be happy to help. Regular brushing will help to keep your dog's coat looking good, whilst helping to build the bond of trust and love. Keep calm and relaxed to help you both enjoy the experience. Allow plenty of time and if you feel you or the dog is starting to feel under pressure, take a break and come back to it. Brush the areas you and your dog are most confident with first, generally the main body and chest area. Whilst your dog is feeling comfortable and relaxed, move your hands over calmly to areas that are more sensitive areas and gradually introduce gentle brushes. The frequency depends on the breed of dog and level of activity. Curly coated breeds such as poodles need daily brushing, as do long silky coats such as Yorkshire terriers. At the other end of the scale, labradors and other smooth coated breeds will maintain a good coat with weekly grooming (even if only for a few minutes). 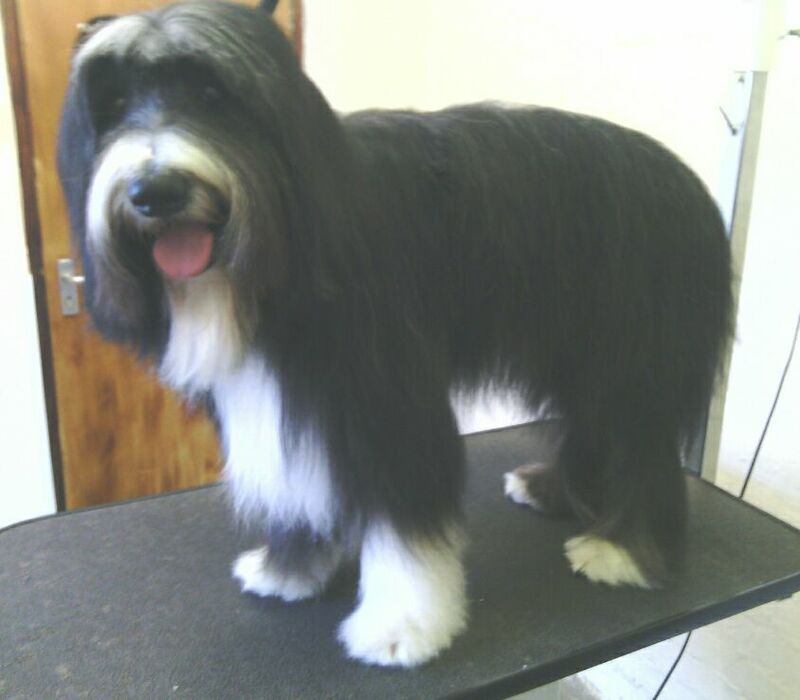 Regular grooming sessions, even if not required for the coat, help to keep your dog comfortable and relaxed with you touching and handling him. This helps with your bonding as well as care of teeth, nails and to make it easier on visits to the vets. What Brush is right for my dog? It is always a personal choice for you and your dog, but hopefully the following guidelines will help you understand some of the choices available. A pin brush is a good general dog grooming brush, particularly the double sided brushes, with soft bristles for shorter hair on the legs. A comb can help you check that you have removed all tangles and matts (and can help break up smaller tangles). Combs come in a range of sizes for fineness to suit different coats. short,smooth and shinny coat breed examples include Boxer, Pug, Great Dane, Labrador. This type of coat is the easiest to maintain and something like a grooming mit used in a circular motion can be helpful. At certain times when the undercoat is coming out a shedding blade will help remove the loose fur. Slightly longer, denser coat breed examples include German Shepherd Dog, Flat Coated retriever, Corgi. This coat can be managed with a pin brush, comb and to help with the undercoat a rake is a useful addition. The rake removes excess hair from the neck shoulders, hip and bottom areas. Have both an outer coat and a soft insulating undercoat breed examples include Golden Retriever, Malamute, Pyrenees, St Bernard, Newfoundland.These breeds tend to shed their undercoat several times a year, so rake will be particulaly useful. Again a pin brush will work well as a daily brushing. These breeds are more likely to have matting, so from time to time de-matting may be necessary. Typical of Yorkshire Terriers, Shih Tzu, Afghan. These coats are often long and of a soft, silky texture and easily prone to tangles. The coat needs gentle and constant care starting with a pin brush, checked through with a comb. De-matting tools may also be required. A coat conditioner can be used as part of the brushing process. 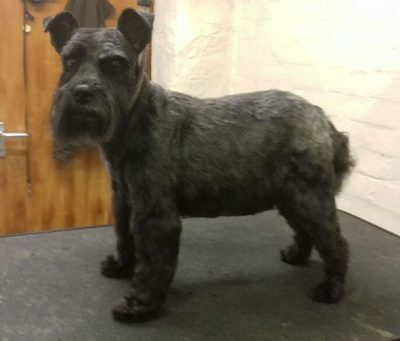 Coated Typical of terriers outer coat is harsh, with a soft undercoat breed examples inlcude the border terrier, west highland terrier, schnauzer, airedale. A slicker brush can give a nice finish to the wire coated breeds. It can also help release light matting. A comb to check for mats can help catch any problems early. These methods are also helpful for Curly Woolly coated breeds; Breed examples include poodles and other "non shedding" breeds. These breeds need daily brushing as the dead hair tangles into the curls of the live hair and if left will quickly become a tangled matted mess. Cats also have a range of coat types and the above choices of brushes can equally be applied to cats. Cats skin is more delicate than dogs and will need to have a slower and much more gentle approach to grooming. Cats will lean into you to indicate they are ready for your touch. Whilst you are building your relationship, helpful things such as corner brushes can be useful. The challenges of cat and dog grooming is often more about them allowing you to groom them. This is something that is best started slowly and calmly from day one. 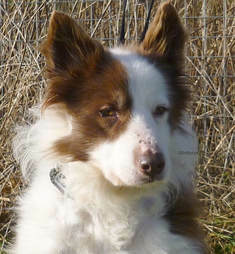 Even with older rescue dogs it is not too late to help them feel comfortable with you grooming. The key (like most things) is patience. Don't rush in and expect to solve it overnight. Take it daily with short amounts of time and build up to longer sessions. Start with just your hand over the areas they are most comfortable with to help them relax and feel calm. Whilst they are calm move your hand to areas they are less comfortable with. Keep calm and allow them to remain calm. Repeat daily. As they de-sensitise to your hand, introduce a brush, such as a soft brush or pin brush. For the most sensitive cases, have the brush in your hand and don't use it, continue to stroke with your hand, then the back of the brush and when you feel the time is right the bristle side. Gradually move to more difficult areas. 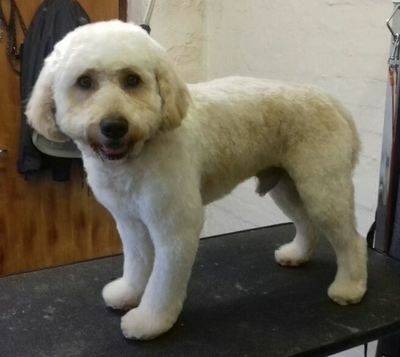 If whilst you are developing a grooming relationship, the dog becomes matted, it is better to seek professional help, rather than rush in and undo all the good work you have achieved. A good groomer can help overcome the build up of fur in the sensative areas, without damaging your relationship with your dog. Ask for more advice and we would be happy to help.